UPR Developed these Plug N Play ™ Fittings to replace the Ford Valve Cover Fittings. Giving you the ability to convert your vehicle to AN Fittings that install directly in the factory location with no modifications. 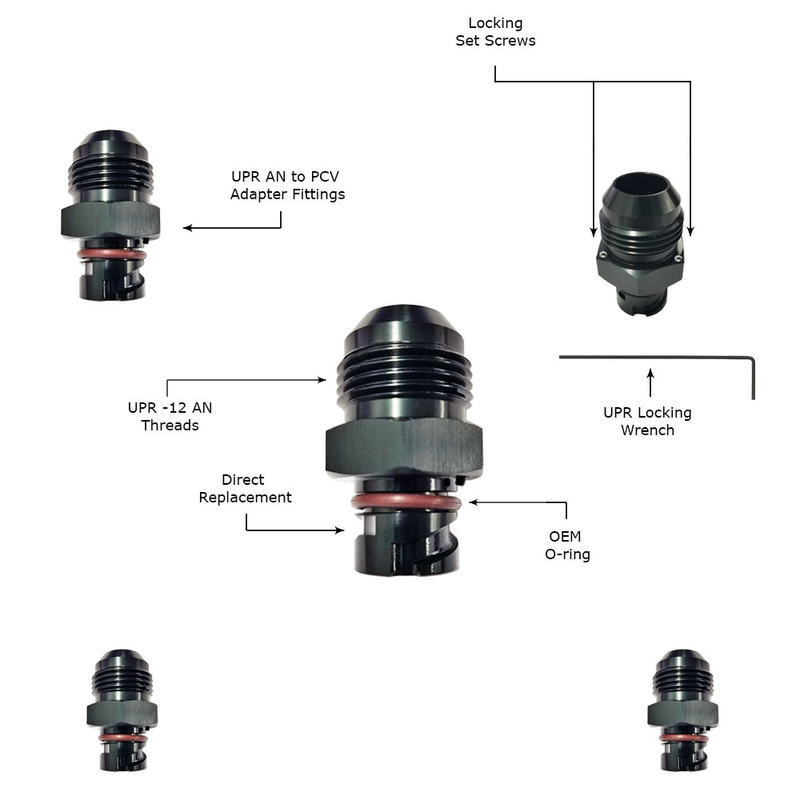 Our AN to PCV fittings will allow you to run a -10 or -12 line directly from the valve cover to anything from a catch can, breather tank or even simplify installing a vacuum pump to your racing application. 2011 2012 2013 2014 2015 2016 2017 Ford Mustang GT Coyote V8 5.0 Ecoboost 2.3 GT350 6.2 F150 SHO Explorer Expedition No one else can stack up to the bold clean styling of our aftermarket Billet dress ups, Street Strip & Racing Suspension & Performance Parts for your late model American Muscle Car!